I’m sure I don’t have to tell you about pudding cookies. They’re all over the blogosphere and for good reason really; using pudding in your cookies almost makes them foolproof. But you wouldn’t be that silly, right? 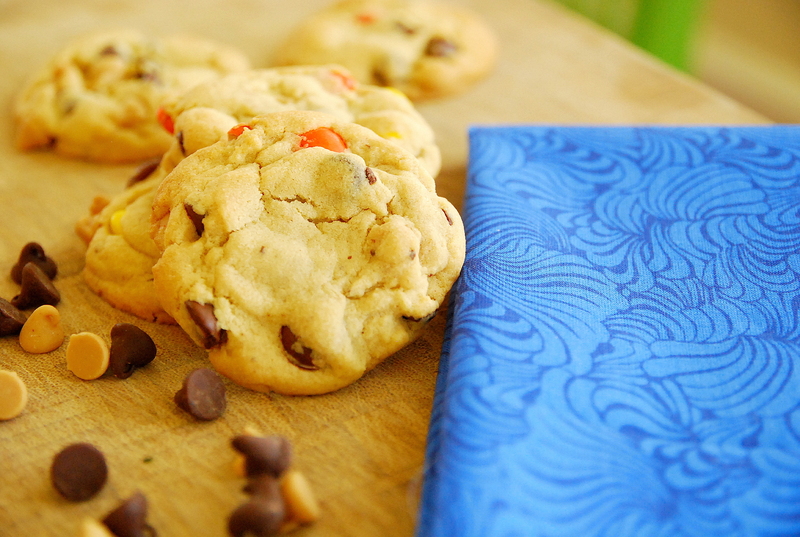 These cookies are bake sale worthy both in appearance and flavor. The three different kinds of add-ins – chocolate, peanut butter and Reese’s Pieces — make them chock full of yumminess. Preheat the oven to 350°F. 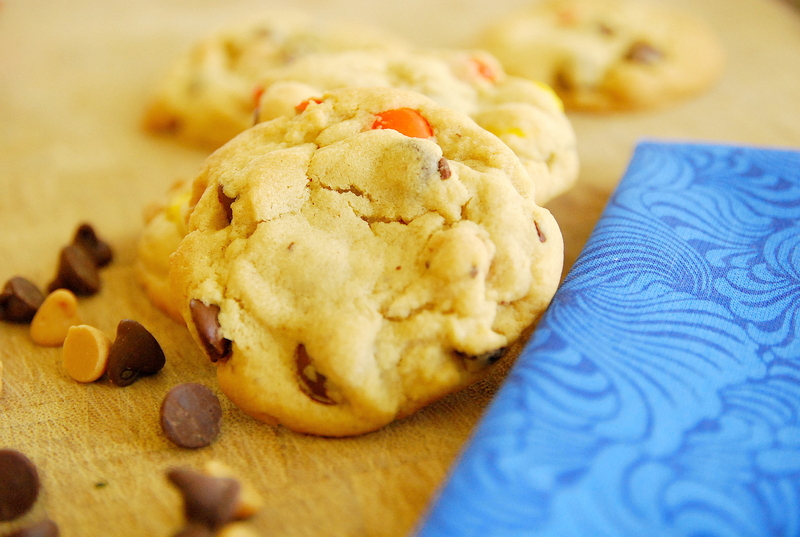 Line 2 cookie sheets with silpat or parchment paper. In a separate bowl, beat butter, peanut butter, sugar and brown sugar on medium speed until light and fluffy, about 3 to 4 minutes. Add eggs, scraping down the sides of the bowl as needed. Add vanilla extract and beat until combined. Reduce speed to low and add flour mixture, beat to combine. Add chocolate chips, reeses pieces and peanut butter chips and mix until incorporated. Roll a heaping tablespoon of dough into a 1 1/2-inch ball between your palms and then place it on the prepared baking sheet. Repeat with the remaining dough, spacing the balls about 2 inches apart (you should be able to fit 12 cookies on each sheet). Using your palm, gently flatten the dough balls until they are about 3/4 inch thick.